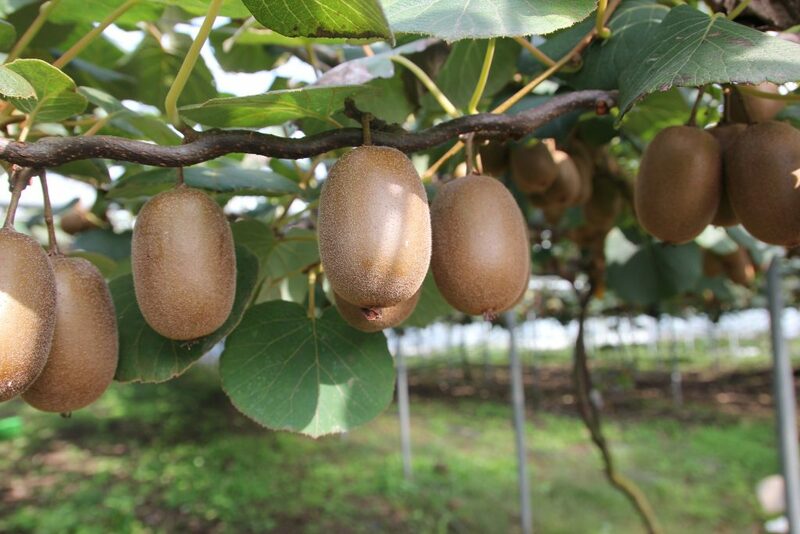 The Kiwi Fruit is an incredible little bundle of goodness. Grown on a vine, this furry-skinned fruit doesn’t look like much at first, but when cut open reveals the most fantastic, bright, juicy, green flesh and beautiful seed pattern. Apart from the the joyful colour of its flesh, this fruit is packed full of goodness. High in Vitamin C (1 Kiwi fruit provides your daily requirement of vitamin C) and a good source of potassium, folate, Vitamin E, fibre and antioxidents, these little power packs are giving your body a great big boost of nutrients whenever you devour one. When selecting to buy, it is best to pick ones that are firm and plump. Avoid any with wrinkled skin or that are soft to the touch. Once you’ve taken them home, ripen on the bench, out of direct sunlight. The fruit is ripe when it yields slightly under gentle pressure. Kiwi & Apple Juice: Blend the flesh of 4 kiwi fruit with 1 cup of apple juice and crushed ice for a healthy and refreshing drink. (Tip: don’t blend the kiwis too much, as you want the seeds to remain fairly intact.) Top with mint. 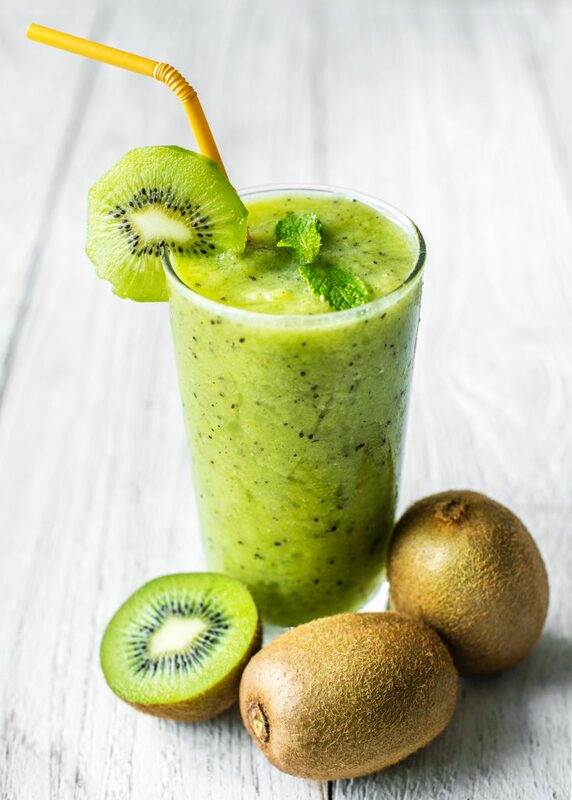 Banana Kiwi Smoothie: Blend together 1 cup milk, 1 banana, 1 kiwi fruit and 1/2 a small avocado for a creamy, healthy smoothie. Kiwi Fruit Iceblocks: Blend together the flesh of 8 kiwi fruit, 1 cup light coconut cream and 1 tbsp of brown sugar. Pour into iceblock molds and freeze. Green Fruit Salad: Chop up 1 kiwi fruit, 1 Granny Smith apple and 1 pear. Place in a bowl and add a handful of green grapes. Easy! Pavlova Topping: Peel the kiwi fruit. Slice the kiwi fruit in rounds and place on top of a pavlova with passionfruit drizzled on top. Chocolate Fondue Dipper: Peel the kiwi fruit and cut into chunks to use as a dipper for chocolate fondue. Click here for an easy fondue recipe.